All our customers can get online for free at Caffe MACCHIATO. You don't need registration - just click 'Connect' and enjoy one-click, high speed Wi-Fi access on us. 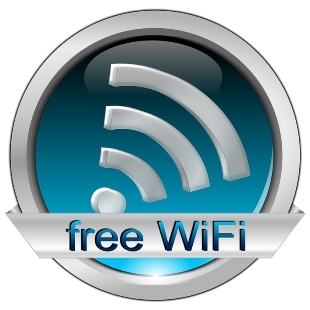 - Simply enable your laptop, tablet or mobile device in Caffe MACCHIATO where you see Free Wi-Fi signs. - Just click on the ‘Connect’ button and you will be instantly connected to free Wi-Fi! Wi-Fi is provided at Caffe MACCHIATO on an 'as is' basis. We do not make any representation or warranty of any kind, express or implied.